Latest Update: The Nigerian Defence Academy (NDA) wishes to inform all applicants that entry examination earlier scheduled to hold on 13 April 2019 has been postponed. A new date will be communicated accordingly. BOOKMARK THIS PAGE AND KEEP CHECKING BACK FOR FURTHER UPDATES. 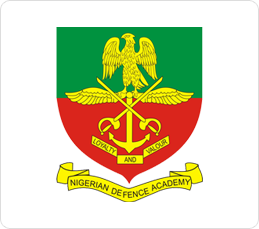 NDA Admission form – The Nigerian Defence Academy (NDA), Kaduna 2019/2020 academic session 71st Regular Course admission application form is out and now available online. Please what does REGISTRATION ID MEAN? and I’m trying to log in to my account on the student portal but it’s showing wrong email or password 👭,, what can I do please?? When is the screening date? And were will it hold. Jamb has been written by some now ,So when will be the screening date,. Pls is the registration over?? I have successfully submitted the application form but the ACKNOWLEDGEMENT FORM could not be downloaded. What should i do? Pls can I still upload my documents at this moment? Please, when is the NDA screening coming up? Comment Text* please I don’t have JAMB 2019, am I going to be able to get the admission into the NDA.